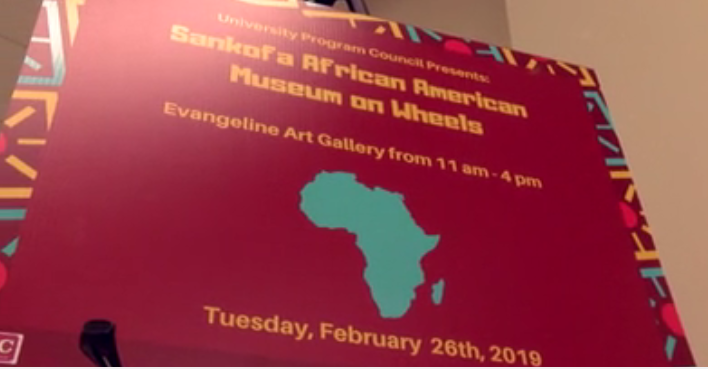 The Sankofa African American Museum on wheels visited the UL student union this afternoon. Students were invited to explore the history of the African American experience from 1860 onward. The exhibit did not shy away from controversies and the harsh experiences in African American history and sought to be a unique and engaging learning experience. UPC Culture Coordinator Amyriah Campell says having the opportunity to share such an important part of African American history is an amazing experience.